The leaves of this amazing tree are considered a superfood; plus the tree grows well in a warm, dry climate. Given the progression of climate change in our corner of the world here in NW Montana, this could become an important food source for us as our climate becomes more arid. Plus, its deep roots make it an amazing carbon-sequestor. Its leaves have the texture of spinach with a radish-like taste, and are packed with nutrients. Use its leaves in salads and soups; add to smoothies or raw veggie juices. Its young seed pods are also edible, similar to green beans. Important caution: We must be careful when introducing new, non-native species, as they can become problematic, invasive weeds. 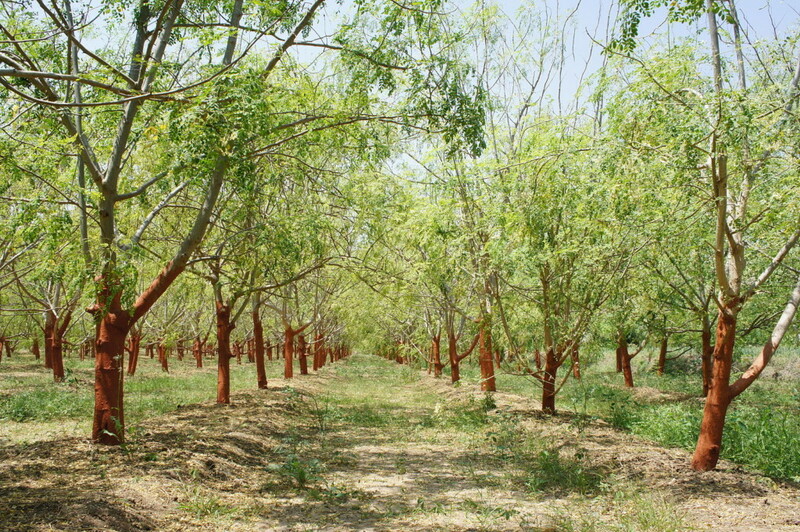 Want to know more about this tree, and what makes it a superfood? Read on for more detail. It is a bit hard to get the seeds to sprout, but not impossible (see “Growing Moringa from Seed” YouTube video (2) for details), but once it is germinated, it is a quick-growing tree. It thrives in semiarid, tropical and subtropical areas; you can grow it outdoors if temperatures range from 70° to 90°F year-round. If winters are colder as they are here, grow it in a pot on wheels so you can easily move it out to the deck in warmer seasons, and indoors (or a greenhouse) in cooler seasons; just remember that it grows deep roots, so a deep pot is needed. See a short (48 second) YouTube video: What Makes Moringa a Super-Food (3) for a quick summary. The following is from an article by Dr. Mercola (1a), unless noted otherwise. See also his article on Moringa Uses (1b). which beats other high-nutrient foods of the same weight. It is also rich in vitamins D and E; other minerals such as calcium, copper, phosphorus, potassium, and silica; the beneficial fat alpha-linolenic acid (plant-based omega-3 fat); and all of the essential amino acids your body needs to thrive. 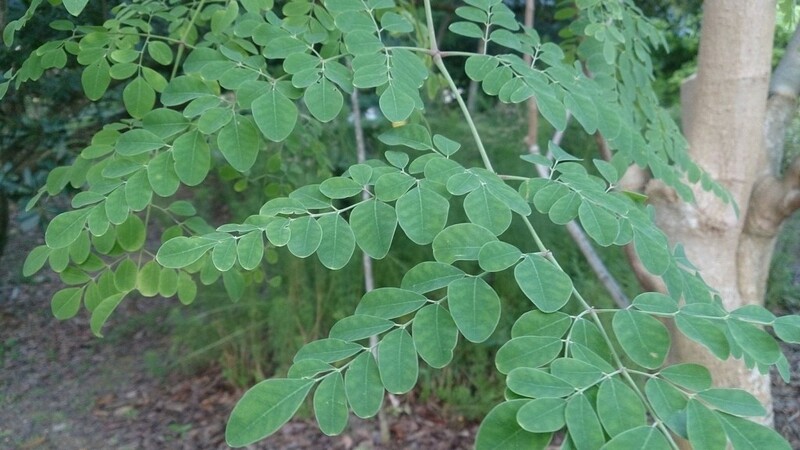 Maintains healthy cholesterol levels: In terms of cholesterol-lowering properties, an animal study (6) involving hypercholesterol-fed rabbits found moringa to be effective in lowering cholesterol by 50 percent, while reducing atherosclerotic plaque formation by 86 percent. Reduces inflammation: The flavonoids, isothiocyanates and phenolic acids in moringa leaves, pods and seeds also possess anti-inflammatory properties. When young, the pods are similar to fat green beans, and can be eaten in much the same way. When ripe, their seeds can be eaten like peas or crushed and cold-pressed for moringa oil. If you don’t cold-press the oil yourself, be aware that this expensive oil has many issues similar to olive oil. Specifically, the quality of moringa oil varies widely, in that it can be diluted with inexpensive and rancid GMO seed oils like soy or corn (see Cat’s post on quality of olive oil for more on this practice: Adulterated or Fake Olive Oil). This entry was posted on Friday, December 22nd, 2017 at 1:50 pm and is filed under Ecology, Health, Landscaping. You can follow any responses to this entry through the RSS 2.0 feed. Responses are currently closed, but you can trackback from your own site.